Home » eZee Frontdesk 6.0»Common/General NextGen Queries. What is virtual room in eZee Frontdesk? Can I get a manual of BIR Configuration in eZee Frontdesk? Does your PMS software works on mac operating system? We have two PMS systems; 1. Cloud-based PMS named eZee Absolute - Yes, it works on any(windows, MAC, Ubuntu, Linux) operating system. 2. Desktop BasedWe have two PMS systems; 1. Cloud-based PMS named eZee Absolute – Yes, it works on any(windows, MAC, Ubuntu, Linux) operating system. 2. Desktop Based PMS named eZee Frontdesk – It only works on windows operating system that means, it does not support MAC or any other Operating system. Is eZeeBurrp and Frontdesk required on the machine, in which Swipe card Reader is installated? YES! If you want to integrate eZee Burrp or Frontdesk with Swipe Card Reader then, it is mandatory to install both the software(eZee and SwipeYES! If you want to integrate eZee Burrp or Frontdesk with Swipe Card Reader then, it is mandatory to install both the software(eZee and Swipe Card) on same machine. How do I perform check in at past date in frontdesk 6.0? By using " Insert transaction " option you can perform check-in for past date. : eZee Frontdesk>>Back Office>>InsertBy using ” Insert transaction ” option you can perform check-in for past date. : eZee Frontdesk>>Back Office>>Insert transaction. 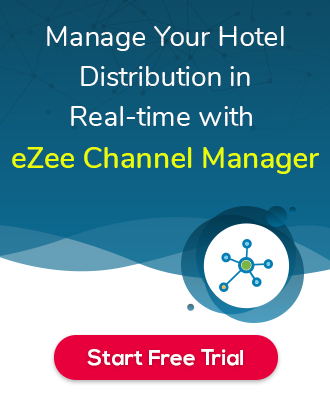 How to add complimentary room in eZee Frontdesk 6.0? Posibility 1 eZee Frontdesk >> (On) Walk In Wizard >> Check mark the option " Comp. Rate". >> Then, process thePosibility 1 eZee Frontdesk >> (On) Walk In Wizard >> Check mark the option ” Comp. Rate“. >> Then, process the check-in. How to add tentative/ unconfirmed booking in eZee Frontdesk 6.0?